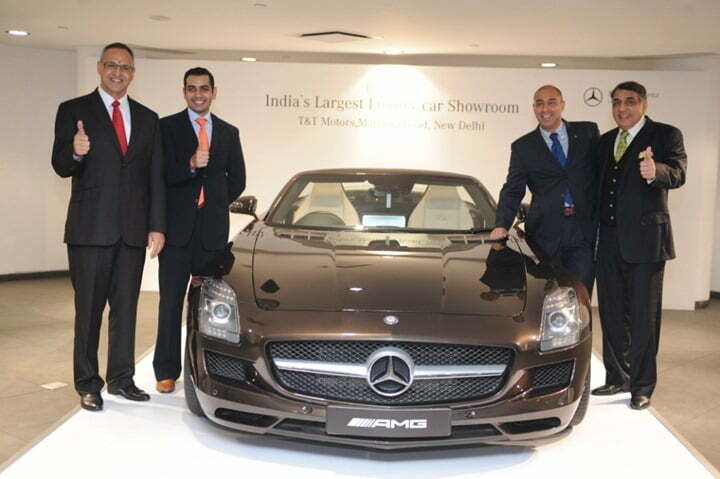 Soon after the its rival Audi’s latest showroom in Mumbai recently, Mercedes Benz has welcomed year 2013 in India by gifting it a new largest luxury showroom in South Delhi. Mercedes-Benz is presently dealing in India with its car model ranging from B to SLK group. The inauguration of this flagship store becomes more special as it marks 15th anniversary of T&T Motors as Mercedes-Benz dealer. With the total investment of INR 70 crores, and spread over 60,000 square feet of area that has a massive display for 26 cars which employs 90 sales personnel and has a separate exclusive floor for AMG range of vehicles. With its proven exclusivity for its pre-owned car business, this showroom marks its presence in India as the largest luxury car showroom dealership by any of the luxury car manufacturer. One of its kind, this luxury car showroom sets a new benchmark in terms of sophistication, opulence and luxury and gives a fascinating experience of automobile retail. 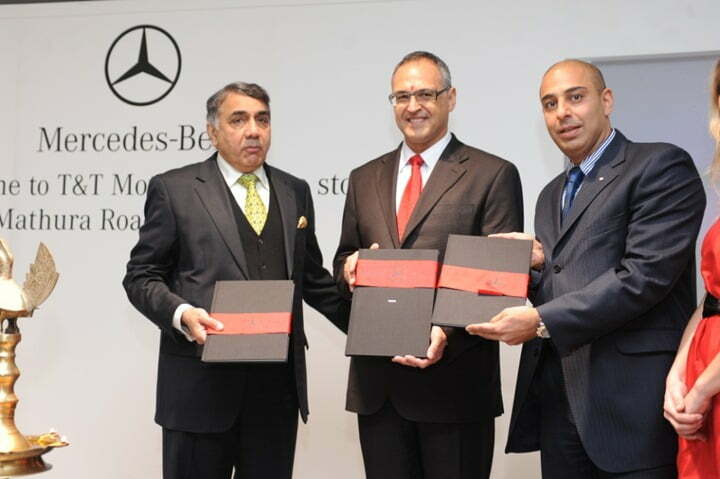 With optimism towards the healthy growth and having invested over INR 550 crores through its dealer partners, Mercedes-India strategy is to expand its presence in this dynamic Indian market.